We guarantee our workmanship on our furniture for life (T&C apply). 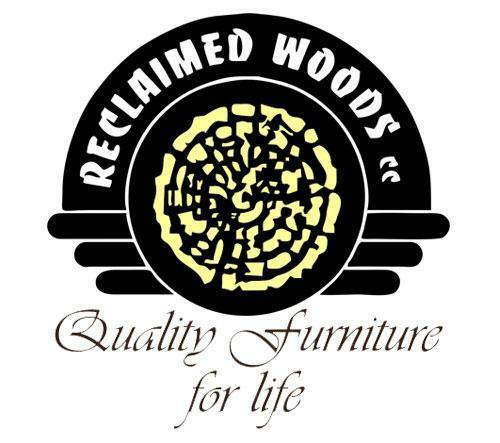 Reclaimed Woods manufactures quality solid wood furniture items such as dinning tables, lcd stands, tables , chairs, custom bar units, stairs using excotic timbers such as Rosewood, Zim teak, Kiaat, Stinkwood, Blackwood etc and Reclaimed railway sleepers such as Kiaat, Ironwood, Yarra,Oregon pine etc. Each piece is made to the highest quality standard ensuring that you have years of pleasure ,We guarantee our workmanship for life (T&C apply). We do not use mass production techniques, all pieces are made and finished by hand. We employ , experience, skilled artisans to ensure you’re piece of mind. House call: we come to you! Fully discuss the process and complete all measurements ourselves. Our trained installers come and install at your home.